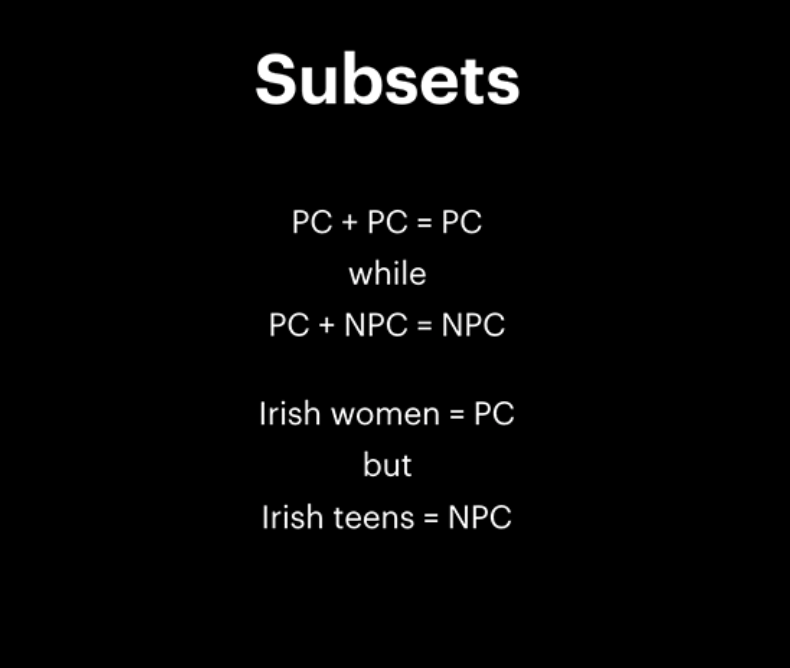 Facebook only blocks inflammatory remarks if they’re used against members of a “protected class.” But Facebook itself decides who makes up a protected class, with lots of clear opportunities for moderation to be applied arbitrarily at best and against minoritised people critiquing those in power (particularly white men) at worst—as Facebook has been routinely accused of. So “White men are arseholes” is unacceptable on Facebook because race and gender are protected. “Christians are arseholes” is verboten because religious affiliation is protected. “Christianity is for arseholes” is fine because religions themselves can be critiqued and no specific demographic is targeted. And “Black children are arseholes” is allowed because “children,” a group categorised according to age, are not protected. White men are considered a group because both traits are protected, while female drivers and black children, like radicalised Muslims, are subsets, because one of their characteristics is not protected. A “call for violence” against black people (such as “The police should kill Black Lives Matter thugs!”) is unacceptable, but it’s completely fine to say Mike Brown, shot dead in Ferguson, Missouri, by a white police officer, deserved to die. 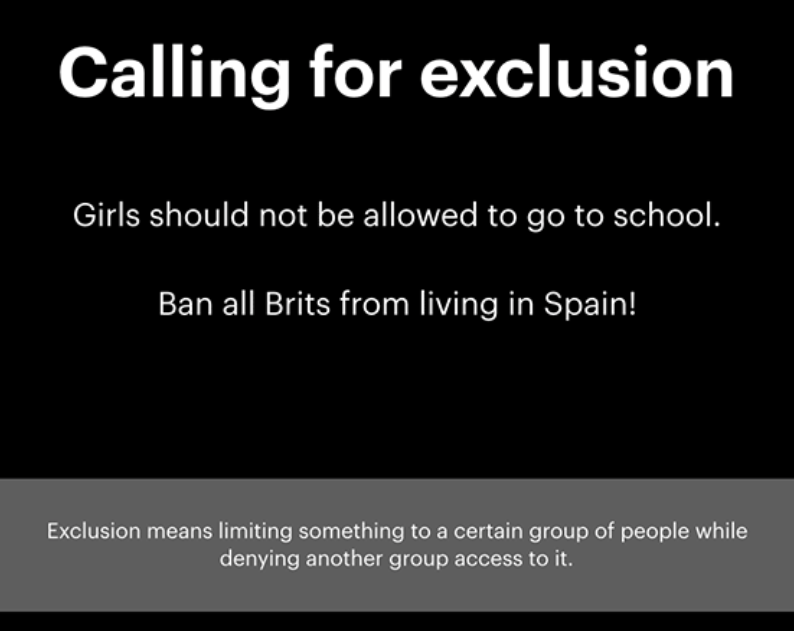 A “call for exclusion” is unacceptable, but the group Round Up And Deport Every Illegal Alien In The USA is cool, apparently. 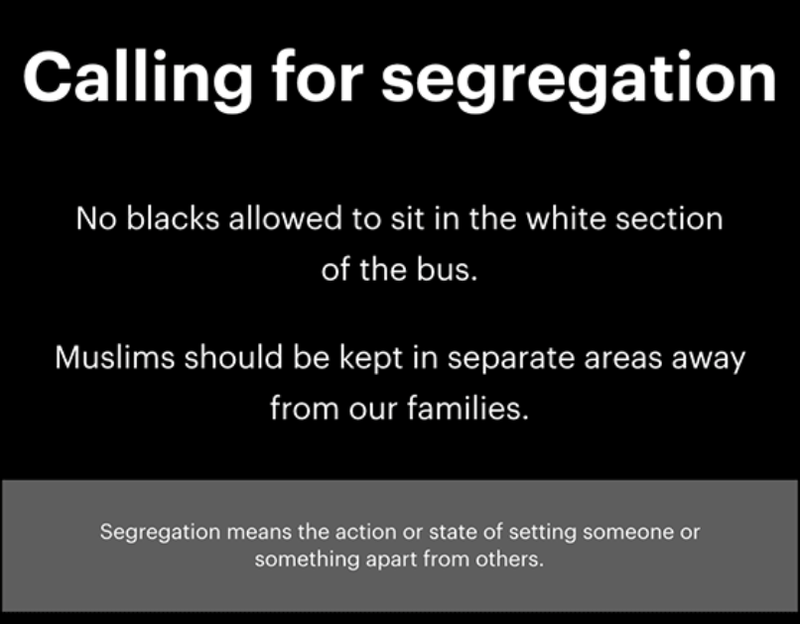 A call for segregation is impermissible, but it seems groups like “White Genocide Watch” and “White Genocide or Diversity,” which argue that separatism is the only way white people can survive in America, are both fine. Totally fine.